In the market for a great Chromebook? Don’t want to spent a truckload of money? Best Buy has a killer deal going on that will score you what is, a year later, still one of the most versatile devices on the market. The Samsung Chromebook Plus, with its big brother the Chromebook Pro, ushered in a new generation of devices helping to accelerated the expanse of the Chrome OS ecosystem that is now being flooded with high-end laptops and even new form-factors like tablets and detachables. The OP1 RockChip processor in the 12.3″ convertible Samsung won’t go toe-to-toe with Kaby Lake devices like the Pixelbook or the upcoming Acer Spin 13 but as a daily driver for moderate work and even gaming, the ARM-based system is still a convincing Chromebook for many a user. 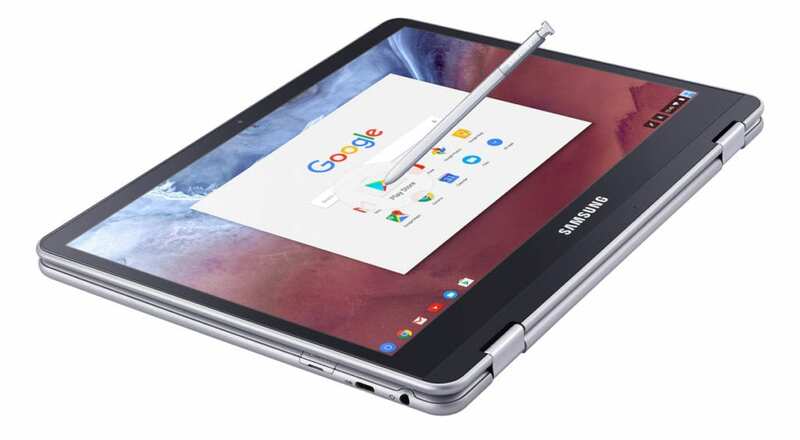 Normally priced at $499, Best Buy has knocked a whopping $120 off the stylus-wielding convertible which bags you a beautiful Chromebook with the best display on the market for a cool $379. That’s one of the best deals we’ve seen since last year’s Black Friday madness and in my opinion, one of the best deals going at the moment. You can order online at BestBuy.com and have it delivered right to your door or pick one up in stores while the sale and supplies last.